We were lucky enough to meet up with author Gavin briefly and interview him on his parenting journey. It started with the birth of my daughter in Jan 12. The day our lives changed forever! I was always told it wasn’t easy and to ‘get your sleep in now’! My expectations were met and infact went beyond how hard I thought it was going to be. My daughter turned out to be probably the worst sleeper in the history of bad baby sleepers! Having my second (in a strange way) as he is an angel! Sleep, tantrums, eating habits, not listening and the mess! Yes, we have a good support network with all our family close by and always on hand to help. The prospect of having an evening once the kids are asleep! Seeing my kids when I get home from work. Being a parent is very hard work but it is undoubtably the best thing that can happen to you. Despite all the difficult aspects the love you have for your kids is close to obsession! Well it is for us anyway! We literally worship our kids even though they can take us to the edge! Gavin is the author of Super Star Kids Books, a series of super cool, short rhyming stories for children ages 3+ years, that will help kids on their journey to becoming fine upstanding young boys and girls. 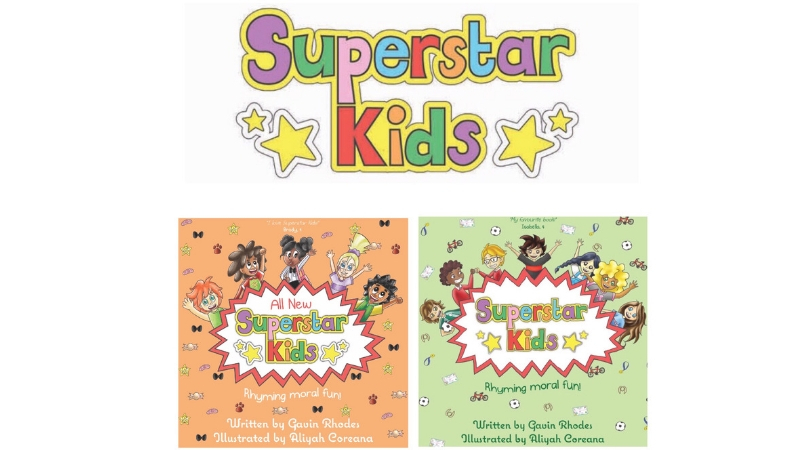 The characters in Superstar Kids learn some valuable lessons in sharing, helping, believing in ones self, behaving and being tidy! For more info click here and to order your copy click here. Gavin can also be followed on Facebook & Instagram.